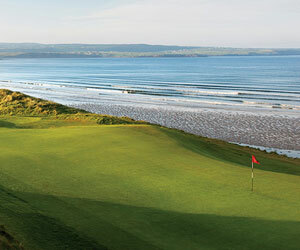 The birthplace of golf and the British Open Championship, Scotland is many golfers' dream golf holiday destination. Classic golf courses in Scotland such as the Old Course at St Andrews, Carnoustie, Prestwick, Muirfield and Turnberry fire the imagination and invigorate the spirit. Can you hear the ghost of Old Tom Morris calling? GolfEurope.com is your complete source for golf travel information and golf vacation packages to Scotland. Our editorial staff provides course reviews, features, photo galleries, blogs and more, all in order to help you plan your dream trip. Once you have selected your preferred golf courses, we invite you to request a free vacation quote. Based on your preferences, we will custom design a vacation for you.